Pre-party shots—do vitamin B12 injections work? It’s not called the silly season for nothing. Every time around this year we eat, spend, and do more socially (which, for some, means drinking more). Your body needs to be in top shape to deal with the holidays, and Dr. Anna has the answer—pre-party shots that can increase your energy, promote rejuvenation, reduce depressive symptoms, and boost your metabolism. Have you ever felt sluggish, weak and irritable for no good reason? You may have a vitamin deficiency. 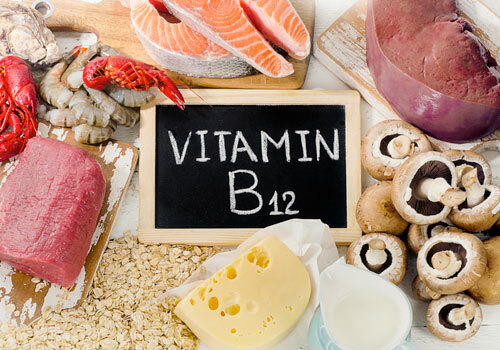 Vitamin B12 plays a vital role in brain function by producing brain cells, red blood cells, and DNA. B12 deficiency is very common, especially in vegetarians and vegans as B12 is only found in animal and fortified foods. People over 50 are also at risk of deficiency as B12 absorption decreases with age, and those who have had intestinal surgery, including weight loss surgery. A B12 deficiency can lead to neurological issues or anaemia which happens when your body does not produce the right amount of red blood cells. And it’s not just physical: studies have shown that a link between low B12 levels and depression. Regular, once-a-month B12 is the best way to fight against a deficiency. The good news is that even people who are in good health, with no risk of deficiency, would benefit from B12 shots. As B12 is a water-soluble vitamin, there’s no risk of over-doing it—so it’s worth a shot, so to speak. The shots are administered quickly through a needle and absorbed by the muscle instantly. Some patients report feeling a ‘boost’ of energy straight away. The best way to receive enough B12 is to eat a balanced diet. A diet that includes organic beef, poultry or wild-caught fish. However—if the silly season compromises your healthy regime, it’s time to party-proof your skin and liver with B12 shots. Did you know Dr. Anna offers complimentary consultations?